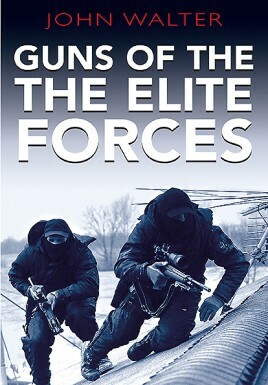 Guns of the Elite Forces provides a penetrating account of the weapons that elite fighting troops carry into combat. Such elites have always existed in the armies of the world. During the Second World War, elite units sprang up in most theaters of conflict – the German Brandenburgers carried out clandestine operations in Poland; in the Western Desert, the Long Range Desert Group and SAS penetrated deep behind enemy lines; for larger-scale raids the British Commandos and the US Rangers and Marine Raiders were formed. In the last few decades, and particularly since 9/11, a very special sort of fighting man – a member of an international elite, his fighting skills finely honed – has risen to prominence. At Entebbe, Mogadishu and the Iranian Embassy in London, he has shown his mettle. At the crucial point, the operative must depend upon his gun. Bursting into a room to confront a terrorist, the raider must be sure his weapon will perform perfectly. At long range, precision is similarly essential. In this highly illustrated book, expert John Walter provides an overview of the weapons elite forces carry into action, as well as the guns their enemies wield. This is highly recommended to anyone interested in the arming of the elite forces of the military and civil powers around the world. John Walter, born in Glasgow in 1951, is among the world’s most prolific writers on small arms—author of seventy books, translated into more than a dozen languages. Walter has worked with edged weapons, bladed tools, firearms, railway locomotives, warships, scientific instruments and even heraldry. Among his published works have been several studies of the Luger pistol; four editions of Rifles of the World; The Airgun Book; The Rifle Story and The Handgun Story; Guns of the Elite and its current successor, Guns of the Elite Forces; The German Rifle; and The Greenhill Dictionary of Guns and Gunmakers.